Make sure that they leave bruises, not tattoos. You don’t have to keep repeating or replaying the past. You don’t have to become defined by the bad things that have happened to you. We all get hurt, but we can heal, too. The only permanent thing about your pain is that it should be permanently in your past. So look at the marks on your life and know that they aren’t there forever, unless you allow them to stay. 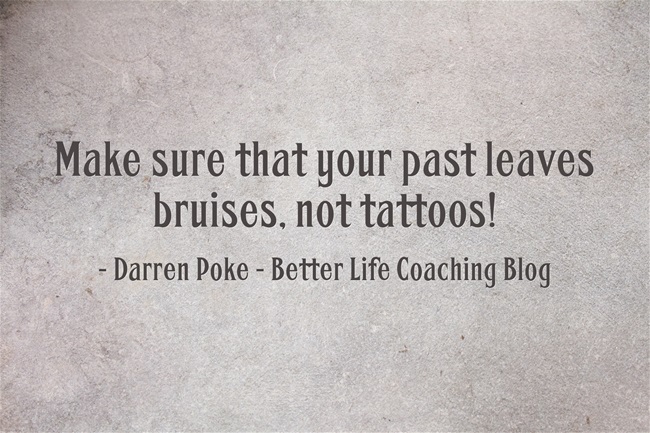 Because your past leaves bruises, not tattoos.